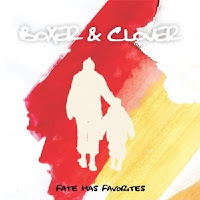 I've already covered Boxer and Clover's new EP Fate Has Favorites, and I'm hoping many of you have already bought this exceptional pop-rock EP. The band has just put it up for free download today, so now you have no excuse for not having it. Download it right here.